Description: T. spathacea are grown for their colorful foliage. The upper (adaxial) sides of the waxy leaves have green coloration while lower (abaxial) sides are a deep purple. Leaves emerge from a central growing point, and radiate outward. Small flower stalks may emerge from this rosette throughout the year, bit flowers are most common in spring and fall. This plant may be grown indoors or outdoors in USDA Climate Zones 9-12 where it will not encounter freezing temperatures. The species grows both in soil and as a epiphyte on rocky walls and trees in dry to moist woodlands. It can be found in warm climates growing outdoors on palm trunks or other niches with little or no soil. Watering: Let the soil dry in between waterings, especially during winter months.Avoid prolonged root exposure to soil moisture. time. Fertilization: Fertilize only in spring and summer months. Use a general-purpose fertilizer at the recommended concentration. Use: T. spathacea is used as a container-grown houseplant, or landscape groundcover. 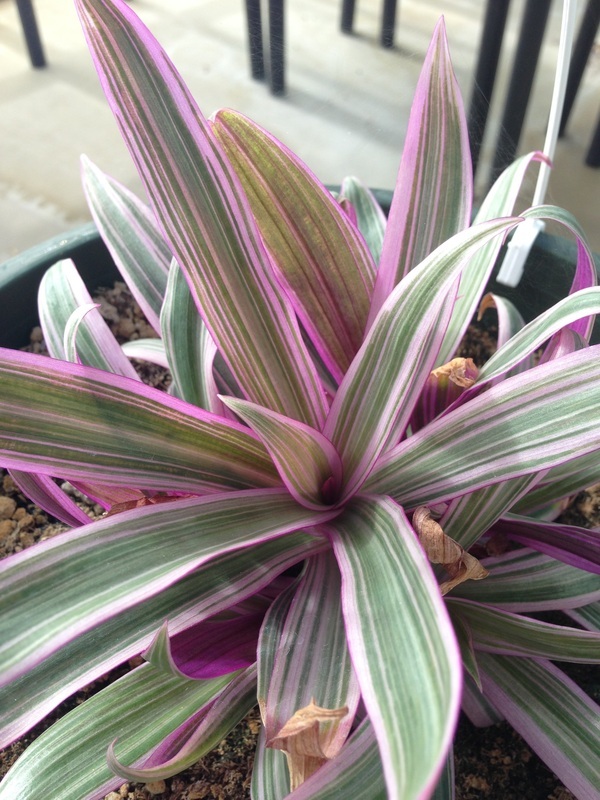 Its value is due to its attractive, colorful foliage. Propagation: This plant can be propagated from seed, herbaceous stem cuttings, or division. For division, remove a clump of stems containing some of the root system and transplant into potting mix as one would do for any rooted cutting. For stem cutting propagation, cut a 4 inch section of stem, dip the cut end in rooting hormone and stick it into moist vermiculite. Roots should emerge in two to three weeks. If supplies are limited, cuttings can be wrapped in a moist paper towel, and placed in a plastic bag, and left to root in the sunlight. Bags may be checked after a week for root rot or new roots. Ventilate the bag if any sign of rot appears. Special Accommodations: Water logged soil will kill this plant.